Last week there was a series of live webinars about literacy and students with disabilities. I always try to keep up with the current best practices, and current research, and what is new and changing in AAC and literacy skills for AAC users and others with significant language impairments. Do you know how some days you just keep doing what you’re doing, thinking it’s the right thing? And every once in a while you wonder. At least I do. So, it’s nice to read the literature or hear a speaker and get affirmation that I’m still on the right track and doing the right things. 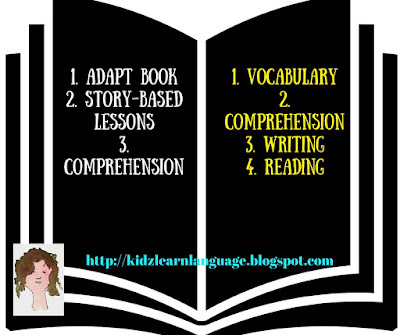 I am a huge proponent of using literature in speech therapy and in special education classrooms. I think that too often we don't read to these kids and we don't expect to build literacy beyond sight words. Back when I did therapy, I used books almost exclusively in my practice, and I continue to urge teachers and SLPs to look at grade level books for use in their special ed classes. 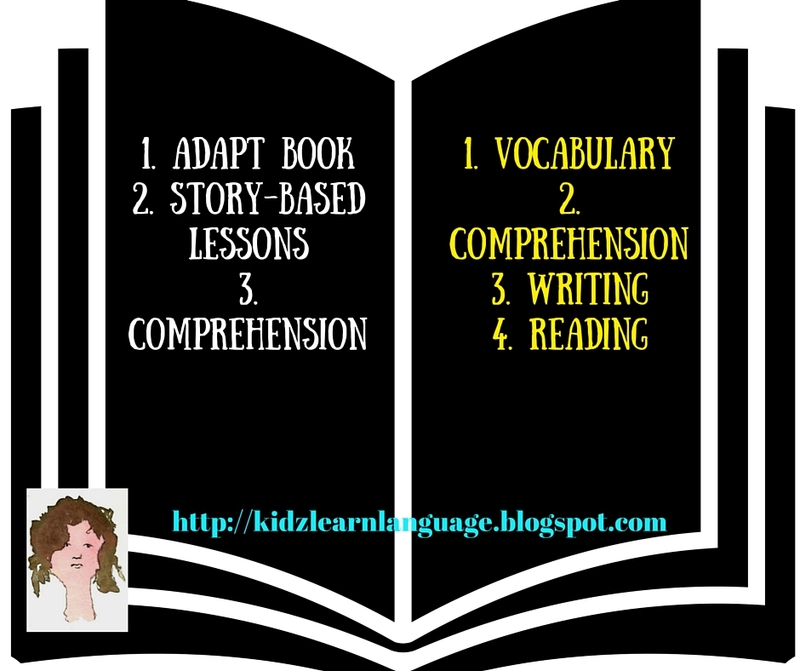 So what do we need in order to teach literature in special education classes? What should those language-based lessons include? Make sure you’re providing these opportunities for your students with significant disabilities. You might be pleasantly surprised at what they can do.